Tag Archive | "Guayas Province"
Merri and I are used to these Ecuador protests as they are part of life in Ecuador. Though we have not seen any Ecuador demonstrations for several years, they represent a good part of the Ecuadorian way and I am proud of how the people exercise their democratic rights…. peacefully… but effectively. Part of Ecuador’s political problems are created because the majority of the population are very poor… and poorly educated… but they are gaining. This is Maria… excited to be headed on her first day to university to study tourism management through a scholarship provided by our foundation, Land of the Sun. Merri and I have been in the midst of several Ecuador demonstrations. Our first protest party took place many years ago in the 1990s. 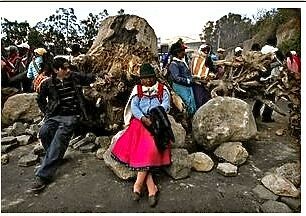 We had to get a friend from Latacunga, (one of the most active places for demonstrations), to Quito airport. In that first protest adventure we were with a yatchak… in his car… a four wheel drive. 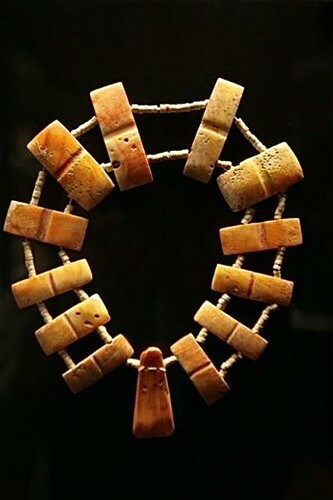 This meant that a lot of the demonstration avoidance tactics came in the form of driving down railway tracks, through football fields and for quite some distance on the grassy path that formerly was the Incan trail. If you meet up with the party types… usually a dollar or two is a sufficient consideration to be able to move on IF one approaches the road block correctly… never with pushiness or aggression. If one meets up with those who have a true grievance… the process is more difficult but usually an earnest listen to their complaint… a murmur of agreement, some sympathy and an explanation of why you need to pass through, with perhaps a dollar or two will open the block. The only hangup came when our hound dog Ma became tangled in the wires from burned tires. On the other side of the road farmers awaited with their pickups. For $20, they were willing to give us a lift into town. The normal two hour journey turned into six…. but we were there, smiling when our delegates arrived. The demonstrations (as with those last week) lasted only a day and we accompanied our delegates on the bus back to Cotacachi next day on the Pan American highway. No one really suffered. That’s why it made sense to me that demonstrations would start next year not now. However I was wrong. On hearing of the demonstrations I wrote to a network of friends and contacts across the country to get people’s opinions. Here are some of the replies I received. I think we have to see what happens tomorrow and hope that there is nothing more than a one day demonstration. The Real Estate Tour in Manta was very good yesterday. The people were very nice and it looks like two couples and two men are planning to stay in Manta to see more properties. Demonstrations have been brewing and are now taking place on two fronts. One of them regards schoolteachers that are part of a much politicized association called UNE (Union Nacional de Educadores – or National Teachers Association) who opposes the widely celebrated regime effort to bring higher quality to public schooling via teacher examination and training. UNE appears to be divided in this and the government is gaining ground in this legitimate endeavor. The other front regards mostly the indigenous population (also somewhat divided), who opposes the draft for the new Water Law, claiming that it will “privatize” water, something that has no grounds. They say that they have not been taken into account in drafting it and that it has elements for the privatization of water. 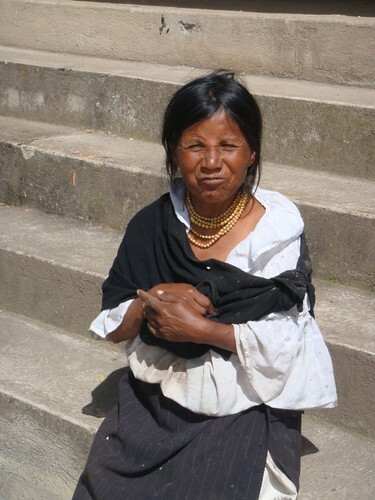 Please note that the indigenous peoples of Ecuador are very dependent on natural water sources for their livelihood. 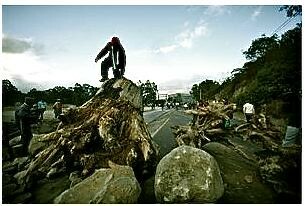 The indigenous population is adept at closing-off highways in very disruptive demonstrations. So far it seems that the demonstrations have been mostly mild but it’s hard to tell if they will flare-up big time. The indigenous people also oppose the new mining law on environmental grounds. The general public believes this new mining law is important as it provides environmental safeguards but also allows the exploitation of our mineral riches under a better framework. There are always tradeoffs of course. President Correa’s Government keeps a very high level of support amongst the population and has been extremely able to defuse situations like this, even though it has had a confrontational stance. Change brings discomfort and demonstrations are part of our culture. I hope and trust they fade away amidst inclusive dialogue. It seems that by Tuesday the demonstrations were defused. The biggest supporters have lifted their demonstrations in order to start a dialogue process. Hi Gary, Sorry I could not get back to you before. As you probably know already, demonstrations have been going on this week. There are several groups such as teachers (UNE), indigenous people (CONAIE), high school and university students and other small groups who have gotten together protesting against different things they consider that violate or diminish their rights: all of them have in common their opposition to the government, although the majority of them were part of the government in the past . Each of the group is protesting against a particular law that is about to pass in the congress: CONAIE are against Ley del Agua or a law which regulates water and that in their opinion privatizes the water. UNE or the teachers are against a new law of secondary and elementary education and also against some regulations that will reduce their salaries. Students are also against the law of university education which will not allow to have private universities in the future. Of course political parties are also involved in these demonstrations. CONAIE is now splitt and having talks with the government so I do not expect their strike to be as strong as in the past. UNE or the teachers are the ones that seem to be stronger and they are right now in their third week of protest. Please let me know if you need more information or comments on these issues. How are you? I just read a little about this problem in my Country. You know I feel sad about it because the only people who suffer the consequences are the students, right now the public schools and some universities are closed, students are in their homes. 1) The Ministerio de Education did some kind of administrative process against the teachers who did not do a test (I do not what kind of test) before, this administrative process could cause a teacher to be fired, so, UNE do not accept this process. 2) Also UNE protests about the new reforms in the law that reduce 1.5% of their salary. 1. Correa is trying to clean up the mess that Ecuador’s education system has grown into over the years, with UNE, the main teachers’ association becoming a by-product of the left wing political party MPD. He has run into opposition and this has lead to the UNE’s strike which started last week. He is also trying to put some order into the way water rights are distributed and managed in the country, thus angering CONAIE (whom he no longer needs as a political support base because through the same CONAIE and Pachakutik he has gained direct access to the indigenous people by providing them housing, infrastructure, etc.). Now it turns out that the UNE strike will tie into the CONAIE demonstrations, and things could turn nasty next week. 2. Correa has become obsessed with his power, and as such is trying to get control of every aspect of Ecuadorians’ life, including education, the use of land and water, the economy in general and of the production and industrial sector (taxing importers out of business in order to support local industry). In doing so, he has alienated many of his former allies and has made worst enemies of his former foes. This is unsustainable in the long run and the first signs that his government is heading into severe difficulties are starting to appear. As you are aware, Correa has a very aggressive political style, criticizing his opponents and trying to make anyone who does not support him look bad and ridicule. This has its cost and now Correa may be starting to pay the price. University and high school teachers have been protesting the elimination of a 1.5% payment and a couple of other issues. These protests began last week. 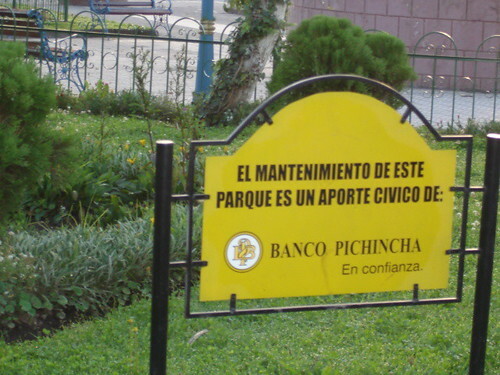 This is normal in Ecuador particularly by the union involved. They like to do this in the beginning of the school year. The police are involved which makes this more serious, but I don’t know how serious. Gary, I do not see it so bad. By the way, from reading the article, it is not so against the Correa-Government. Nonetheless, there has been some small protests in Ambato as well. Gary, thanks..I am in San Clemente and no demonstrations here! The students and the teachers have always spent most of the time demonstrating..but of course the government thought they would avoid demonstrations against them with the “peoples revolution” slogan.. The indigenous people seem to want to march again against the new mining law and the governments intent to start big scale mining operations to improve finances.. I do not think any of these demonstrations will be even close in size to what they used to be during previous governments..basically because all these movements supported the government and it’s policy and many still do..They also lack the charismatic leaders they once had. 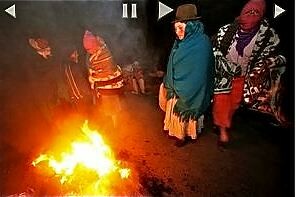 This last comment seems to be supported by excerpts of an Associated Press article entitled “Ecuador Indian group protests water, mining laws”: The Associated Press QUITO, Ecuador — Hundreds of Indians blocked Ecuador’s Pan American highway in several provinces Monday with rocks, tree trunks and burning tires to protest new water, mining and oil laws. Their leaders suspended the protest late Monday, saying the government had promised to talk about their objections. 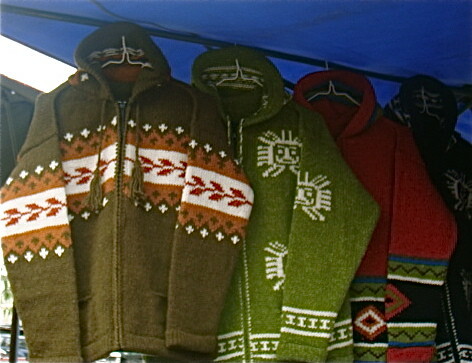 The Indians contend the proposed the laws threaten their lands and will privatize water resources. Leftist President Rafael Correa disputes that view, and the ruling party-controlled legislature has been expected to approve the laws. Monday’s protests on the main national highway paled in comparison to protests that ousted Ecuadorean presidents in 2000 and 2005. Third AP photo from this article. Things are improving. 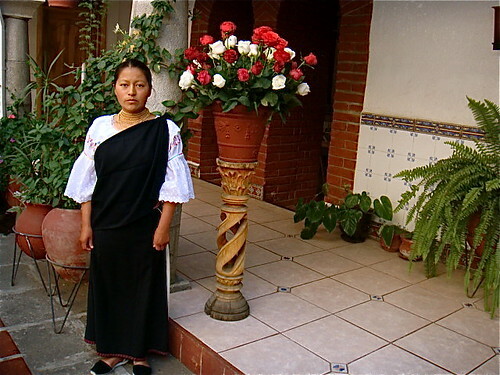 Ecuador’s indigenous are getting richer and better educated. 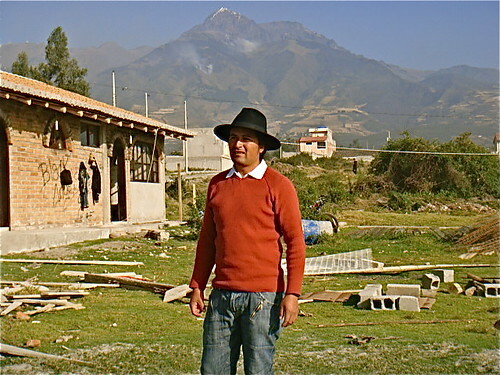 Enrique is one of the excellent Cotacachi indigenous builders who is developing homes in Cotacachi. 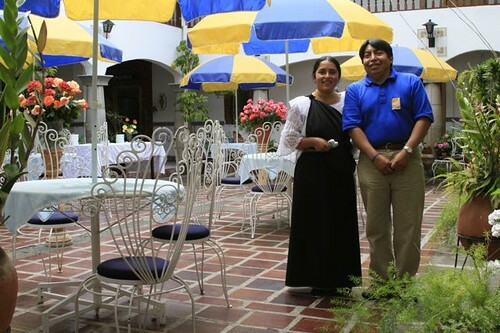 He is among a growing sector of hard working, highly successful and dependable indigenous businesses that help form a strong, integrated middle class in Ecuador. Be sure see to see some of Enrique’s houses at this site next week. Ecuador demonstrations are a part of Ecuador’s democratic process. Since moving to Ecuador I have seen many presidents comes and many go… very few serving their full term… a process I like better than having a bad president last. President Correa has enjoyed a time without Ecuador protests because of high oil prices and his willingness to default on Ecuador bonds. That former decision is now biting him back… along with low oil prices… so more and more are saying… “throw the bum out”. 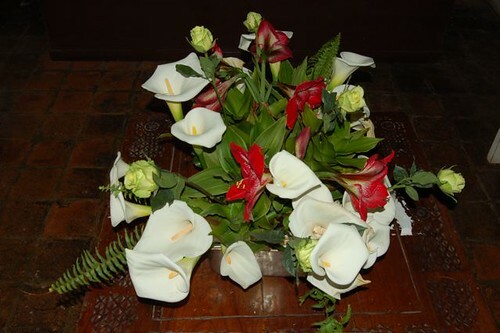 We have added an October Ecuador southern coastal and a northern Andes real estate tour to our 2009 schedule. This southern coastal tour will be conducted just before our final Ecuador export tour of the year conducted October 21 to 25. 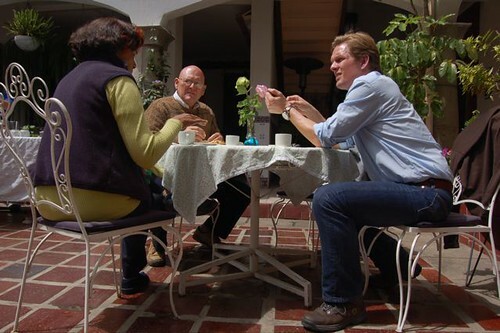 The Andes real estate tour will be conducted just after the export tour so you can attend all three. 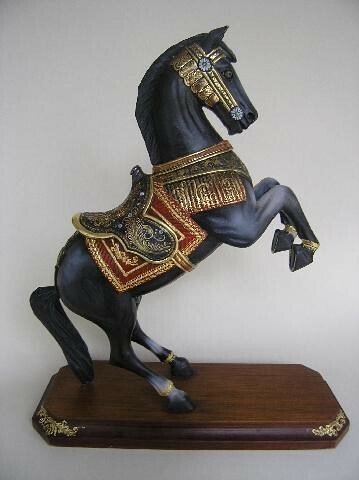 We’ll see fine gold encrusted art on the export tour. Maggie Beesley conducts our export tours and she just sent me this note. 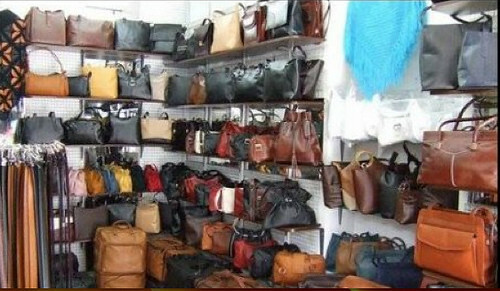 Leather products of all types. Value, Value, Value. Today’s economy has us all looking for value in everything. In reading Gary Scott’s emails for the last two weeks, we are all learning about ways to help our dollars to go farther, as well as how and where to get wise values. 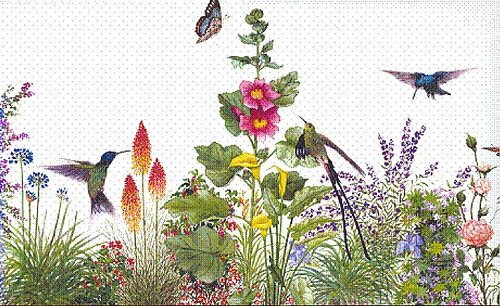 October 21st thru October 24th we will be conducting another Import/Export class in Cotacachi, Ecuador. If you are a reader of International Living, or Gary’s Ecuador Living, you know Ecuador is rated the number one country in the Retirement Index. Value is here, prices are incredible, cost of living anyone can afford and wonderful shopping. Who should come to the class, why you should come, and what you will learn? In other words…what is this class all about? Of course, those are only three things. 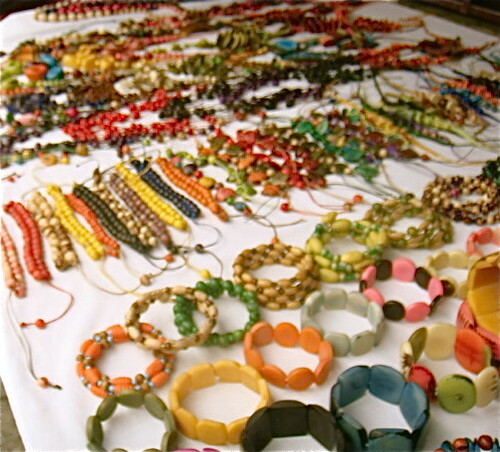 You are going to learn to recognize true “finds”….know what your market will buy, and get all these wonderful treasures in your suitcase home safe and sound. We all know shopping is much different today than it was this time last year. Last year we were still charging whatever we wanted. This year we are paying cash for whatever we want. People never spend as much if paying with cash. So our mission in class is to find things for your market that are affordable, attractive, AND your people will happily hand over those hard earned dollars still allowing you a nice profit. I did a Bazaar yesterday and not one person charged anything. The phrase of the day was “if I can’t pay cash for it, I won’t buy it.” So right away I know some of the high end items that were selling left and right this time last year aren’t going to be my main sales today. Always be prepared to offer less expensive alternatives…not less quality, just more affordable for this cash market we are in. The Credit Card Machine that was a must last year is an unneeded start up expense to you right now. Don’t waste your money. 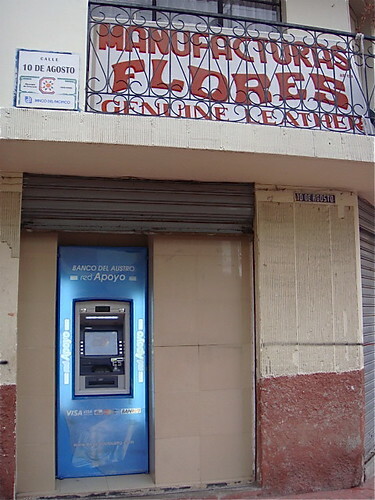 Plus the beauty of cash is that there are no additional charges from your bank to process those charges. All a little more profit for you. Yesterday at the Bazaar there were 16 vendors and I was the only one who had a credit card machine, and it sat, meaning at the end of the month, that “sitting” charge will cost me $48.00. Now for this class there is a little homework, but fun homework. FIRST ASSIGNMENT…..I want each of you to think about what you would buy today? I am not talking about groceries. Ladies, is it that “to die for” pair of boots on sale, perhaps a leather purse, maybe a wrap for early fall, or decorations for the December holidays? Guys, what would you buy today? Boots, new billfold/wallet, leather sports jacket, sweater? Just think about what you would spend your hard earned dollars on. 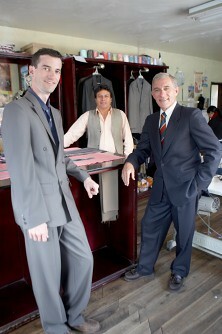 Top quality hand made suits at really low prices. This suit in french wool cost $135. Your needs and wants are probably what will sell in your market, and that is what we need to look for. Knowing your market is probably the most important knowledge you will take with you when making those purchases for resale. Many of you already know about my red cape. 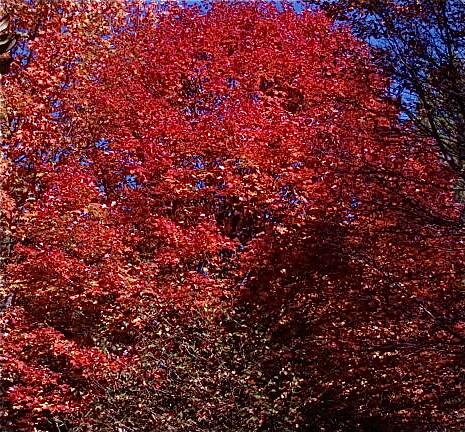 I love my red cape, however up in the Northeast my buyers are a little more conservative and red is not necessarily their first color of choice. Gary Scott told me all about knowing my market, but I just love red. 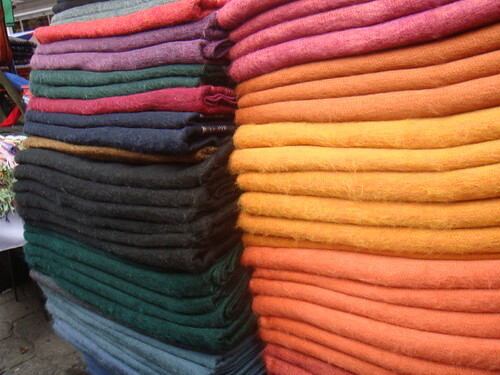 I purchased 6 red alpaca capes plus 1 beige, 1 sage, 1 tan, 1 navy, and 2 black. The red capes sat for a bit, but the neutral colors sold instantly and I could have sold more. So I lost sales, and warehoused those 6 red capes until Christmas. Moral to this story, please know your market. Your SECOND ASSIGNMENT… Please walk around your shopping areas and notice what colors people are wearing. Go into the stores and see what is on display. Look at every catalogue you get. What are those colors everyone is looking at? Purple is huge again in the catalogues and stores, but do you see your market going with the fashion trends? 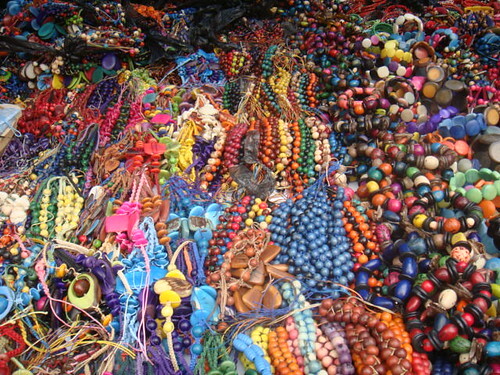 Scarves, jewelry, purses, shawls and make note of the prices. Accessories have a very high markup, and this is where we can really make our money. You all have your assignments, so get to work. In class I want to see pictures you have cut out of catalogues, and let’s see if we can’t find those same items in Ecuador for much better prices. It is fun! 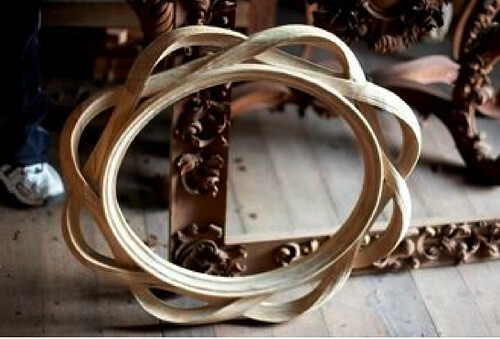 Crafts of all sorts and much… much more. You can enroll in the Ecuador Export Tour here. 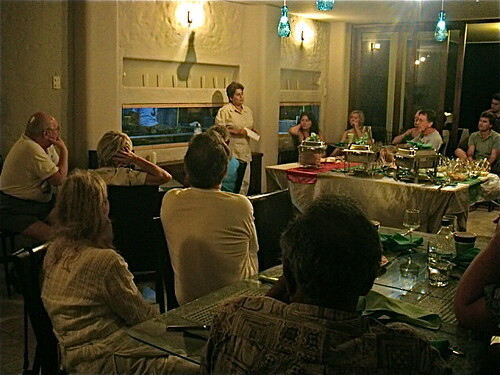 Before Maggie’s Export tour you can join Amy Pinoargote and Mike Sager for the Ecuador southern coastal tour. 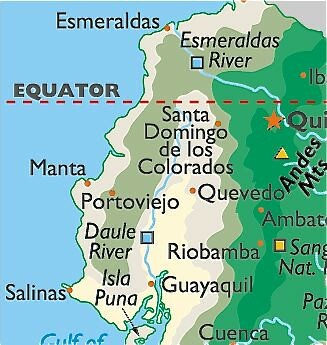 We have been our expanding our focus in Ecuador and now are helping readers look in the southern coastal areas. Ecuador beach property has always represented incredible value and this expansion means we can help readers see a much larger part of the Ecuador coast. We are also adding an October northern Andes real estate tour as you will see below. Those who have been reading our messages for any length of time know that we have focused our efforts on the middle portion of Ecuador’s beach from Manta to Bahia in the province of Manabi. 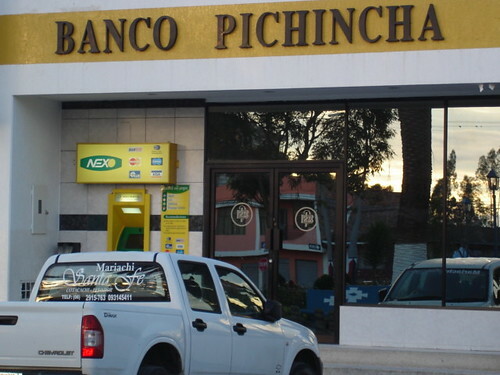 However there are many other great Ecuador beach areas that some of you want to visit. 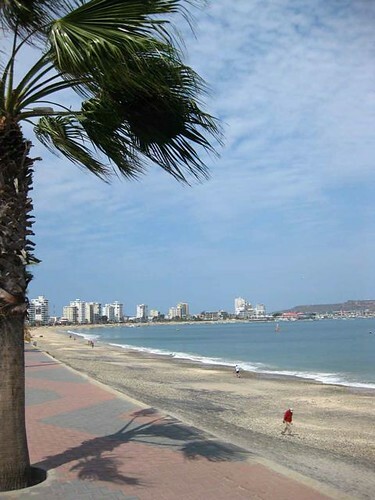 The Salinas Malecon area has long been a favorite destination. 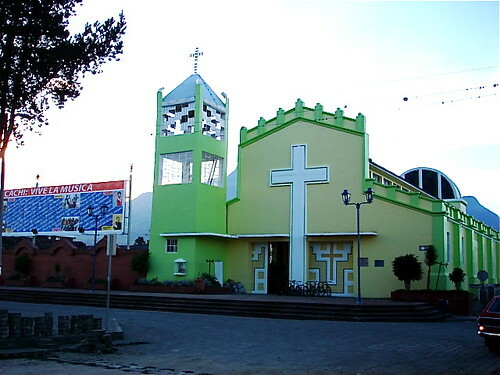 Salinas is one of the favorite in Ecuador for good reasons. It has beautiful beaches, with calm waters perfect for swimming, water sports, activities or just relaxing. Along the Malecon, or beachfront promenade, you will find a variety of restaurants, hotels, bars and other attractions. 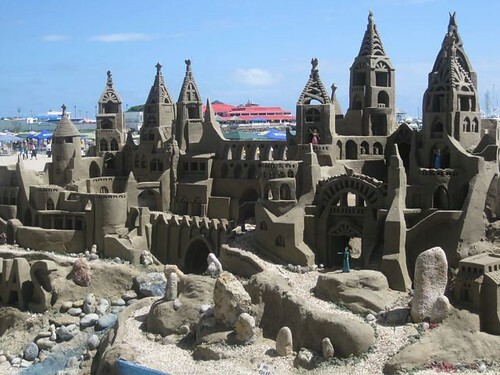 During the summer season there is even a giant sandcastle. If you “tip” the sculptor $1, he will take your photo. 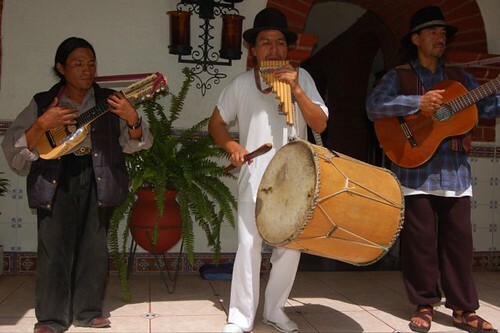 However, to really enjoy all that Salinas has to offer, you need to get to know it like a local. There are two seasons in Ecuador. Summer runs from December to April and winter from May to November. The summer in Salinas is usually sunny, with occasional showers. Daytime temperatures reach the low to mid 80s and nighttime temperatures run in the low 70s. The winter tends to be overcast to partially sunny, but not rainy. 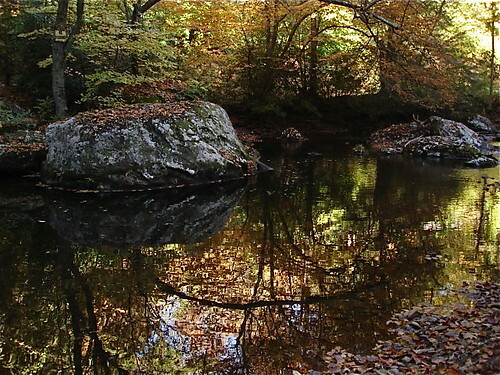 The winter is actually the drier time of the year and temperatures run about 10 degrees cooler than during the summer. Because Salinas is semi-arid, it doesn’t experience sticky, tropical humidity. This makes a comfortable environment for outdoor activities all year long. 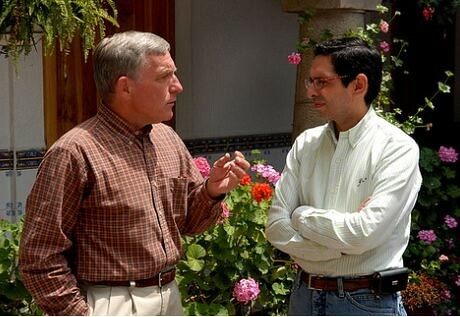 As with most beach towns, the dress code in Salinas is casual. It is perfectly fine to go from beach to restaurant. Along with your swimsuit, pack plenty of shorts and short sleeved shirts, plus pants and long sleeves if you are visiting in the winter months. 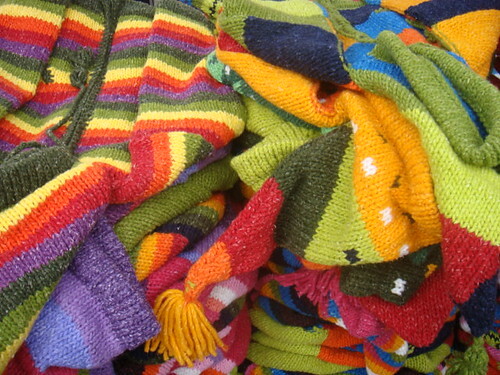 Have a sweater handy, as some days are cooler than others. 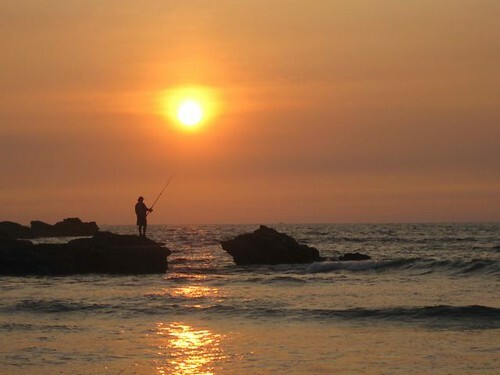 The Salinas area is a prime spot to enjoy fresh fish and seafood, as well as other Ecuadorian specialties. A great spot to sample those specialties is Delícias de Ecuador, located near the entrance to the Costa de Oro neighborhood on the main road that runs from Salinas to La Libertad. Prices here are very reasonable. The daily lunch special or “Almuerzo” includes a soup, entrée and beverage, usually priced at $2.50. Don’t ask for changes or substitutions on the lunch special; it comes the way it is. Other options include Seco de Pollo, which is chicken stewed in a tomato-based sauce, and Menestra, lentils or beans served with your choice of grilled chicken, beef or fish. If a relaxing lunch at the beach, complete with a hammock for a post-meal siesta is your style, drive about 30 minutes north of Salinas to San Pablo. In this fishing village you will find cabana style restaurants right on the sand, specializing in fresh fish and seafood. Las Manabas restaurant is one of the best. If you can’t decide what to order from the extensive menu, try the Chupe de Pescado (fish stew) or Corvina (a mild tasting sea bass), cooked to order. Most meals run between $3 and $5. Ecuadorians typically eat a big meal at lunch and a light dinner. No trip to Salinas is complete without a visit to the Cevicherías, casual outdoor eating areas a few blocks off the Malecon that specialize in ceviche. Shrimp ceviche in a tangy salsa is a good choice. Shellfish and fish ceviche are also available. Be aware that the shellfish or fish will not be cooked in the traditional manner. The citrus juice in the salsa is said to “cook” the fish. If you have concerns about eating uncooked fish, go with the shrimp version, which is cooked. 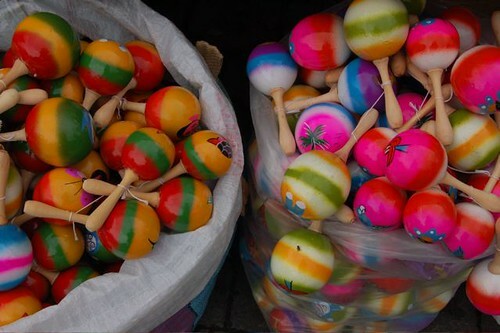 If you want to browse for souvenirs, visit Mercado de Artesanias, an outdoor flea market in the Chipipe area of Salinas, where you can buy a variety of Ecuadorian handicrafts. To get a glimpse of days gone by, visit the Museo de Sumpa. 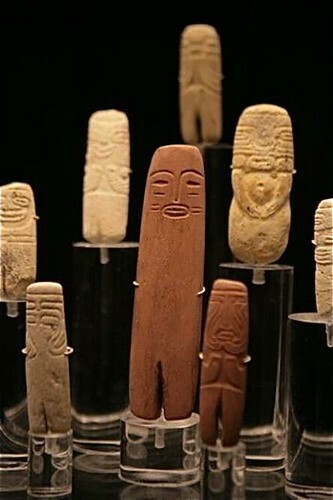 This small, but well thought out museum features exhibits of artifacts from the early residents of the Santa Elena peninsula, including the Las Vegas culture. It also features a Las Vegas burial site of the “lovers of Sumpa,” mummified remains of two people that appear to have died in an embrace. You can also tour a cane dwelling typical of those built by the early settlers. Enjoy a relaxing evening drive a few miles across the Santa Elena peninsula to the Punta Carnero beach, where you can see some of the most beautiful sunsets in Ecuador. 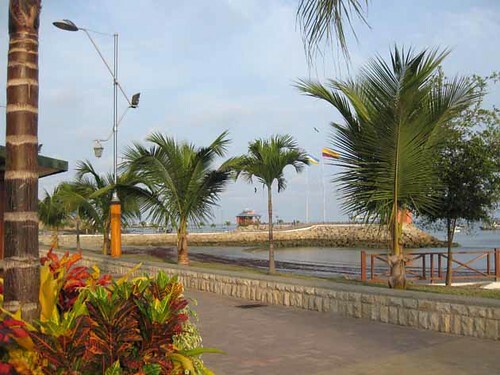 On your way back to Salinas, pass by the Malecon of La Libertad and stop for an evening stroll. Whether dining, sunsets or beach activities are your idea of a fun time, you will find it in Salinas. Gerardo & Amy Pinoargote spend their time between their home in Florida and Salinas and together with relatives are building and managing Spondylus II, a small beachfront development in the Costa de Oro area of Salinas, about 2 miles from the Malecon. This is an area they like due to its privacy, great beach for walking, sunbathing and water sports. Yet it is just a short ride to dining and shopping in the central area. Spondylus II is a family business consisting of three towers. Tower A1 is sold out, except for a ground floor ocean front 1000 square foot unit. Several one and two bedroom suites are still available in tower A2, priced from $49,500 to $50,500. Larger 1300 square foot units are also still available, priced under $110,000. Tower B has just been release for sale and features larger units (1400 – 1500 square feet), in the $120,000 – $135,000 price range. Spondylus II offers the following amenities… beachfront pool & social area, a workout center, 24 hour security and the Pacific Ocean as a front yard. All units feature granite kitchen counter tops, tile floors, tile baths, inset ceiling light fixtures and wooden kitchen cabinets. Now it is possible to see Salinas like a local with Amy and her husband acting as your hosts and guides. Amy and Gerardo Pinoargote, along with American real estate broker, Mike Sager, will conduct a Ecuador southern coastal real estate tour October 15th through 18th. On this tour you can get to know Salinas property and the real estate along the beaches north of Salinas. This is an opportunity to view more than a dozen properties and get tips from experts who are living in this area right now. You save time, risk and zero in with help from those “in the know”. The tour makes your real estate investigation efficient and productive but also allows time for relaxing in the evenings and enjoying the beaches. Plus as you’ll see in a moment could save you thousands should you ever decide to buy in this area. • New 2 bedroom condo located directly on a tranquil beach in popular Salinas… $55,000. • 3 bedroom, 3 bathroom house with ocean views in the most popular complex in Olon…. $100,000. • Large house on a ¼ acre lot near Montanita, complete with basketball court, ample parking and caretaker’s cottage that could be a bed & breakfast… $250,000. 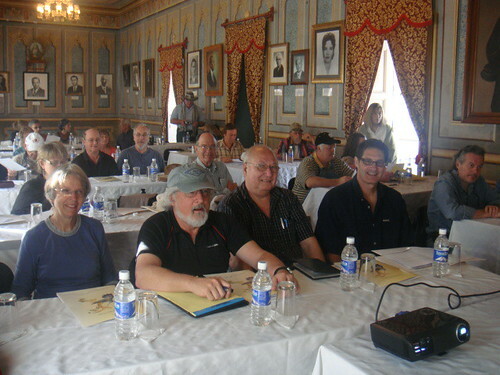 Thursday, October 15 – The tour fee includes a room at the Castel or similar hotel in Guayaquil. Friday, October 16 – breakfast, transportation from Guayaquil to Salinas, lunch, Salinas area property viewings, happy hour and night’s stay at Coco’s or similar hotel in Salinas. Saturday, October 17 – breakfast, Ruta de Sol property viewings (Ballenita to Montanita), lunch, night’s stay at Charo’s or similar hotel in Montanita. Sunday, October 18 – breakfast, Olon area property viewings, lunch, tour of Salinas , return transportation to Guayaquil, night’s stay at the Castel or similar hotel in Guayaquil. The tour will be limited in size but you can assure a space and save $100 if you reserve by September 1. If you enroll today, the fee is $499 for one $998 for two. Tomorrow the tour fee rises to $599 for one and $1,198 for two. See how to save even more on multiple tours below. The tour package does not include your flight. You should plan to fly into Guayaquil on October 15th and depart from there on the 19th. If you are attending the export and/or Andean tour we’ll help you join other delegates in Quito. Save 2% on real estate purchase. We are promoting this tour in cooperation with Gerardo, Amy and Mike and when we promote outside tours, we always ask for the tour operator to give something special to our Ecuador Living subscribers. In this case, Amy & Gerardo will provide Ecuador Living subscribers a 2% discount on any Spondylus II condo purchase. This is possible because we do not accept real estate commissions and ask that the benefit of exposure to our large readership (this message will reach 16,572 readers) be pass onto our Ecuador Living subscribers. Your tour does not have to end on the southern beach. As mentioned, you can then continue to Quito and Cotacachi for our October 21 to 24 Ecuador export tour. Finally you can also join our October Imbabura real estate tour October 25-26, where we have also convinced developers and real estate sellers to pass savings along to our tour delegates in the form of discounts. For example the Prima Vera condos also offer a 2% discount to buyers from our tours. Join us for one, two or all three tours. Reduced tour fees apply for attending two or three tours. Early retirement means something more than quitting sooner than the norm. 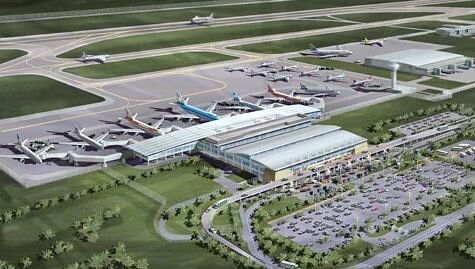 In a moment we’ll see details about Quito’s new airport and Guayaquil’s as well. 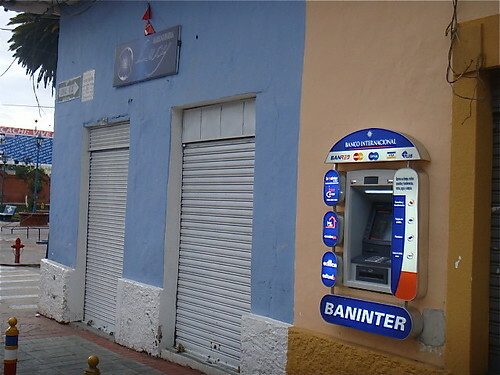 First let’s see how change can help you retire in Ecuador or retire early anywhere. If change is here.. If we must adapt to change… why not make the adaption good, enjoyable and fulfilling? Early retirement means doing something you love to do that supports your lifestyle. Early retirement means earning in a sustainable way. Early retirement means being free to go, be or stay wherever you desire. Early retirement means getting our of the rat race… retiring from the fear and daily hassle that the majority face. With this view we can have an early retirement… anywhere… at any age! This is why we’ll share an 11 lesson course entitled International Marketing Strategies starting here. 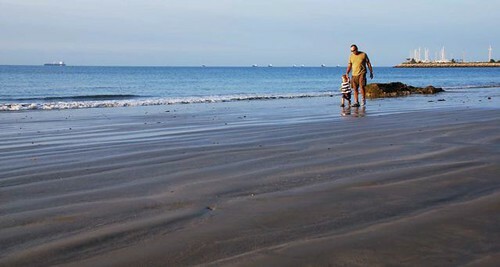 One great place to retire in Ecuador is on Ecuador’s coast. This is why we are expanding our coverage to include Ecuador’s south coast with the new October Southern Ecuador Coastal Tour. One difference between Ecuador’s middle coast and Ecuador’s southern coast is access. Ecuador’s middle coast s best accessed via Quito and then onto Manta via air. Ecuador’s southern coast is best accessed via Guayaquil and then onto Salinas via van. So I asked Amy Pinoargote who is hosting the Southern Ecuador Coastal Tour to outline details on flying to Guayaquil. Amy has lives part time in Miami and part time in Salinas so knows the journey well. Flight options from the U.S. to Ecuador expanded this year, as AeroGal, an established Ecuadorian airline, has added Miami/Guayaquil and Miami/Quito flights. American Airlines and LAN, a highly regarded South American airline, have been flying those routes for years. For many budget conscious travelers, AeroGal is a welcome option. I have flown all three airlines from Miami to Ecuador and would recommend any one of them. The choice usually comes down to schedule and pricing. In my experience, LAN typically has larger, newer planes. They fly non-stop between Miami and Quito. The departure from Miami is in the morning, which has the benefit of arriving in Quito with most of the day still ahead of you. The downside of that schedule is that it is not an option to take a domestic flight into Miami and then connect to Ecuador on the same day. Also, LAN often does not fly nonstop to Guayaquil, but instead passes through Quito. This adds about 90 extra minutes total travel time for the Guayaquil passengers. The LAN return from Ecuador is in the afternoon, which provides plenty of time to get to the airport. Because I more frequently travel between Miami and Guayaquil, I often opt for American, precisely because they offer non-stop service. The American flight leaves Miami in the late afternoon, making it feasible to connect from a domestic flight into Miami earlier in the day. The downside of the late afternoon flight is that it arrives in Guayaquil after dark. By the time you gather your luggage and pass through immigration and customs, it can be quite late. The American return from Ecuador is mid-morning. If an in-country flight or long drive is required to get to the airport, this could be a disadvantage. American offers non-stop service to both Quito and Guayaquil. The newcomer on the route is AeroGal. After having flown that airline several times in Ecuador for in-country travel with good results, I was eager to try their non-stop service from Miami to Guayaquil. Although their planes are smaller than those used by LAN, I was pleased with the service. The departure from Miami is in the evening, which, like American, is convenient for those who need to take a connecting flight into Miami earlier the same day. Of course that also means a nighttime arrival in Guayaquil. Another consideration for those traveling to Quito is that the flight is not non-stop; it passes through Guayaquil first. 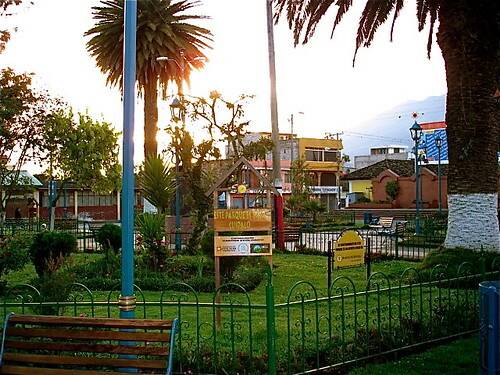 The AeroGal return from Ecuador is in the early afternoon, which allows time for an early morning connecting flight or a drive to the airport. As far as pricing goes, with advance purchase I have usually paid around $550 per adult on LAN, around $475 on American and around $375 on AeroGal. AeroGal’s lower prices have led to good feedback from budget conscious travelers and those traveling with a large family or group. I have heard several people say they are fans of that airline’s business class fares, which run about $700. Although LAN and AeroGal are based in South America, both offer English language customer service and websites for booking flights and bi-lingual flight attendants and airport check-in. LAN and American not only offer service to Ecuador out of Miami, but also out of several other large cities, including New York and Los Angeles. AeroGal is currently serving only Miami, but has announced that service to New York will begin in December 2009. Before booking a ticket for travel from your home town to Quito or Guayaquil, it is wise to research domestic flights to Miami. If you can get a favorable domestic flight, you then book the international portion of your trip on LAN, American or AeroGal from Miami to Ecuador, a flight of just a little more than four hours. This often can result in a lower overall fare, fewer and shorter layovers and a schedule that better meets your needs. Keep in mind there are several clean, safe hotels close to the Miami airport that offer free shuttle service. A few of the most popular are the Hampton Inn and the Hilton. This makes an overnight layover a convenient option both with free shuttles. The bottom line for travelers is that there are several good flight between the states and Ecuador, yet another reason to make it your home overseas. Whether you arrive in Quito or Guayaquil, if it is your first visit, you’ll be surprised by the modern, clean, efficient and friendly airports. Guayaquil’s airport is new, opened on July 2006. The airport code is GYE and we have found that everything works well here. Quito’s existing airport is in the middle of the city and was refurbished several years ago. A brand new Quito airport opens in 2010. The new airport is being built on a 3,500 acre site which is ten times larger than the existing airport. 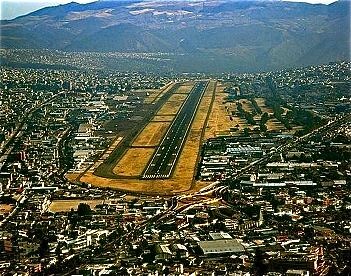 The new airport will be ten miles from the center of Quito which will, add about an hours drive (though it will be closer to our hotel Meson de las Flores in Cotacachi). The new airport on Caraburo Plateau will sit nearly 2,000 feet lower than the current Quito airport. With the lower altitude and the 11,000 foot runway, airlines will be able to schedule more convenient take off and arrival times. The current high altitude Quito airport requires most flights to come and go early mornings or late evenings because cool air provides more lift. However and whenever you plan to retire, whether you retire in Ecuador, on the farm or to some new exciting way of life… make your retirement be doing something you love.